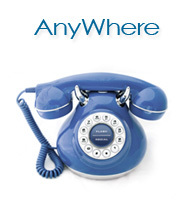 Voyze AnyWhere: Virtual calling card. 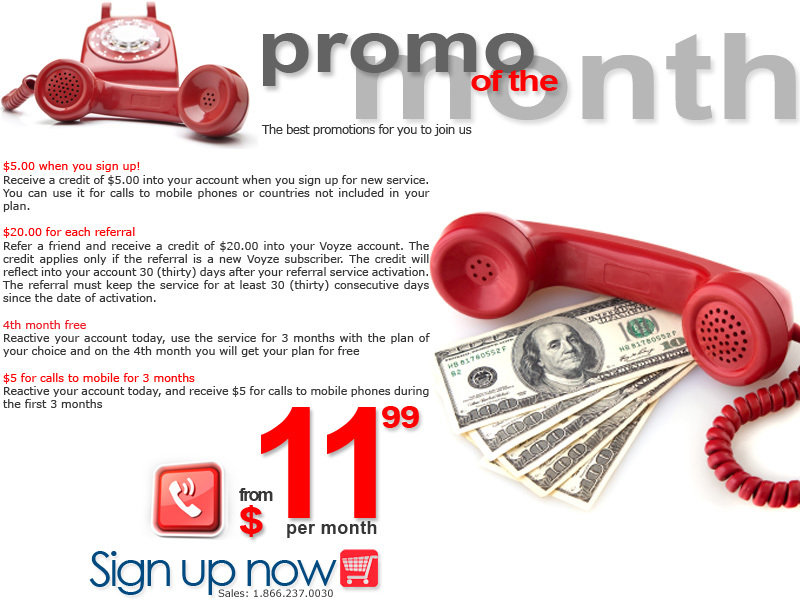 Make phone calls and just pay for the minutes you use at the best rates in long distance for Latin America. 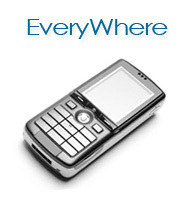 Voyze EveryWhere: Phone calls to Latin America or the world from your mobile phone, regardless your phone service provider. 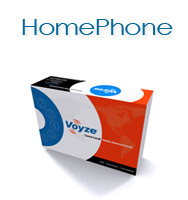 Voyze HomePhone: Imagine saving up to 75% on your international calls by having a USA phone number anywhere in Latin America or the world. 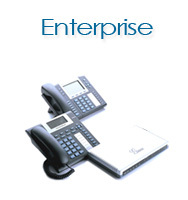 Voyze Enterprise: IP telephone exchange with up to 20 extensions for the small and medium company with the best rates in long distance. *Customer is responsible for any applicable federal, state, municipal, local or other governmental taxes billed to the account in addition to the monthly service charge. The activation fee for Voyze Everywhere is $9.99 and for Voyze HomePhone is $19.99. Voyze Service is provided to customers as residential users, for the personal, residential, non-business and non-professional use. The International Unlimited plans will have a maximum of minutes per month to land lines depending on the country. Unlimited Plans do not include calls to mobile phones; except for the Unlimited Plans to the US, Canada and Puerto Rico. Voyze reserves the right to immediately terminate or modify the Service if Voyze determines that the Service is not being used under these terms. Voyze is not responsible and will not compensate for third party fees or charges, including but not limited to, cellular phone or local phone company charges generated by using our service, not following the dialing instructions or inappropriate use.